When Ken Janson took the stage last Friday night at Bebe’s Burritos in Biddeford, his voice sounded a little strained and his body seemed to argue about the sudden moves he was making. But Janson, a vocalist and drummer, seemed to quickly shake it off as his head and heart reminded him that music was his first love. Janson, a 58-year-old Saco resident, has lived and worked around the southern Maine music scene for the last 35 years, but his story, like those of most of our neighbors, is a little more complicated. As Janson thought about this important part of his life, he smiled and used a phrase that sounded eerily like the title to a famous Led Zeppelin song. “During all that time, the song has remained the same,” he said. 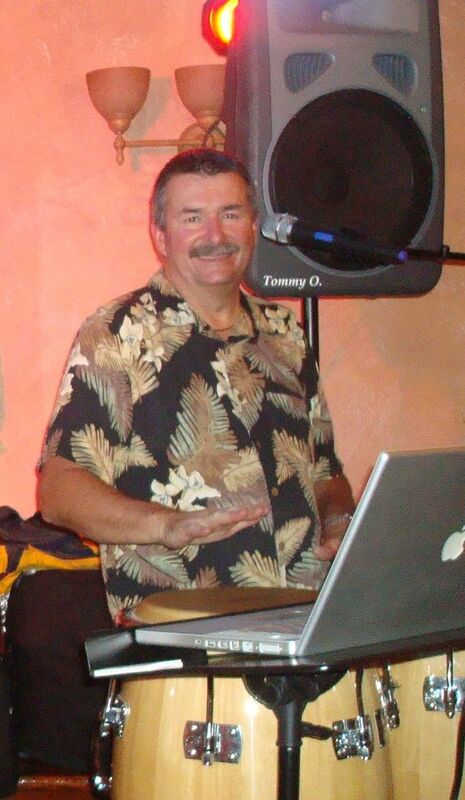 Janson graduated from Thornton Academy in 1972 and, after working for a few years and going to school, he realized that he wanted to continue playing music and to be part of a band. Janson said that he started playing the drums while in high school, but between studying and athletics, he did not have time to play in the school band. After graduation Janson worked with other musicians and focused on becoming better at his craft. He took lessons from more accomplished drummers in the Portland area and practiced regularly. His skills improved and he looked for opportunities to play professionally with other musicians. Eventually, at the urging of friends and coworkers, he connected with Rick Talbot, Marc Breton, John LeHoux and Tommy Ouellette. “We sounded good, but we didn’t have a name,” he said. “But that didn’t feel right,” he said, so they kept searching for an identity. While driving to a show in Saco, it came to him. Janson said he looked up and there was the sign on the turnpike, Exit 5. “I told the others we should use it. Our name will always be in lights,” he said, and laughed at the memory. From the band’s first show in 1977, to their last in 1986, Exit 5 played at clubs and venues from Waterville to Concord, N.H.
All of the members in the band had day jobs and careers but, as Janson explained, music was their passion and it connected them. “Music is a nice relief from the stress of everyday life,” he said. Janson was quiet for minute as he thought about the men and women that played in the band. For Janson, the band was like an extension of his family and it became increasingly difficult for him to speak about his friend and bandmate Tommy Ouellette. Three years ago Ouellette was diagnosed with cancer of the esophagus and eventually passed away from the disease. “Exit 5 had several different iterations, but the one constant was Tommy,” he said. According to Janson, as the band changed over the years, and people came and went, Tommy was always in the background supplying a steady and consistent sound from his keyboard. In 2009, both Janson and long time bandmate, Al Smith, met separately with their dying friend and Ouellette made each of them promise that they would continue playing for as long as they could. Janson and the band reunited twice after their 1986 split, once in 2001 for a Thornton Academy class reunion and then, with heavy hearts, again in 2008 to raise funds and awareness about cancer. Janson admits that the band never really had illusions about going on the road full time or trying to make it solely on their music. To Janson, “A” bands spent all their time on the road doing whatever was necessary to try and make a career out of music. For Janson and his friends it wasn’t the money that kept them going. After Ouellette passed away in 2009, Janson and Smith formed a singing duo that uses a combination of technology and live music to reproduce the sound from a full band. Their duo, Kids at Play, performs a mix of popular music and ballads. They play once or twice a month at local clubs and bars. Not surprisingly, printed in plain script, their sound system has the name Tommy O on the lower left-hand corner of each speaker. Janson’s eyes filled and his speech slowed, but he continued and said that as the final notes are played, he always thinks of Ouellette. “We play it every show,” said Janson. Over the years, Janson has become a successful businessman, father and tireless volunteer in his community, but the one thing he keeps coming back to is the music. Do you have contact info for John LeHoux?